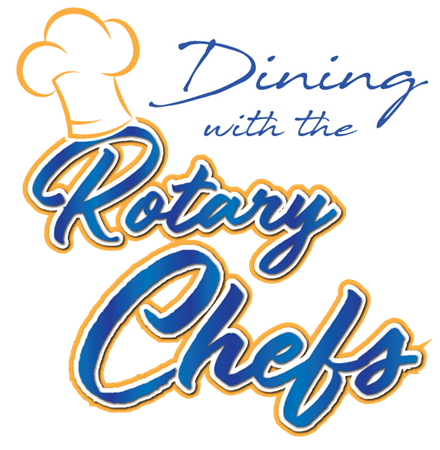 As promised at the Holiday Party, below is the information about Dining with the Rotary Chefs. Please join us for a delicious evening of chefs competing to WOW your taste buds and claim TOP CHEF bragging rights. We'd like to round up at least 2 tables of 10. To date we have over one table filled! Looking for 6 more members and friends or 16 more. Your ticket purchase of $40.00 per person is a donation to The Rotary Foundation and counts toward Paul Harris recognition in your name. These funds support our local and global mission to enable Rotarians to advance world understanding, goodwill and peace through the improvement of health, the support of education, and the alleviation of poverty. Come enjoy a fun event and support your Rotary Foundation. Our chefs volunteer their time to prepare fabulous treats. Last year we had over 25 chef participants. Our Chefs can be professionals, amateurs (usually Rotarians) or students. Each Chef is required to make 300 bites or tastings. The categories of food are Appetizer (can include soups and salads), Entrees, and Desserts. There is no limit on what you can eat as long as the food lasts.. and it always does. Price: $40.00 per person made payable to the Tri County Rotary Club. We will collect funds at our next two meetings on January 8th and again on January 15th. The club will pay the District, once we receive all of the payments. Please reply back if you want to come with us!